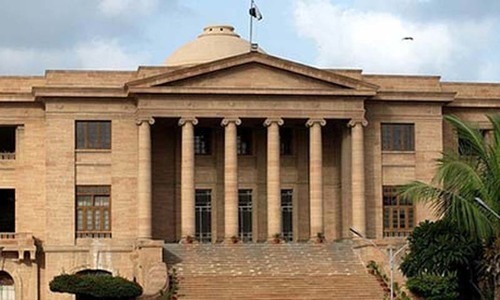 Sindh High Court’s (SHC) two-member bench on Monday lashed out at the provincial government for not doing enough to resolve the stand-off over sugarcane price between the crop’s growers and sugar mill owners. In November 2017, acting upon court orders, the Sindh Sugarcane Control Board had fixed the rate of sugarcane at Rs182 per 40 kilogrammes for 2017-18 — a decision rejoiced by the growers but rued by the millers. Despite clear orders to do so, the millers continued to deny growers the set price, with some even shutting down their mills, leading the farmers to protest before the matter was taken to the court. “SHC fixed sugarcane’s price but the mill owners shut down their mills,” he added, stating in the petition that doing so was a defiance of the court’s orders and warrants contempt-of-court action against Pakistan Sugar Mills Association (Pasma). Naseem asked the court to refer the case back to the sugarcane board for a fresh fixing of the price, whereas the Sindh Advocate General recommended that the provincial cabinet take a look “as the price notification was sent without the cabinet’s approval”. Noting that any further delays on the matter could result in huge losses for the farmers, Justice Abbasi asked the advocate general to consult the government and find a mutually agreed upon solution. “We want to give a judgement that keeps sugar mills from shutting down but at the same doesn’t incur losses for the farmers either,” he said.